Sample delicious grilled mackerel with a picquant dill dressing. 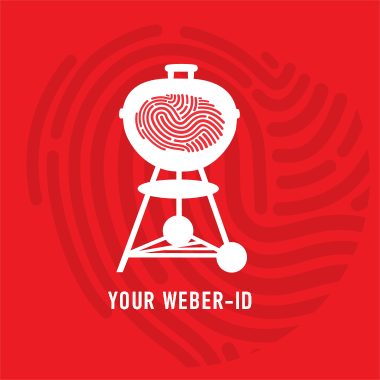 For best results, use the Weber Original large or small fish baskets. Wash the mackerel under cold running water and cut off the fins. Make three or four deep slashes through to the bone in each side of the mackerel. Stuff each slash with a small sprig of dill and leave aside. Chop remaining dill and reserve. To make the dill dressing, heat the olive oil in a small saucepan and cook the onion and garlic for 2-3 minutes until softened. Add the chopped tomatoes and simmer for 10-15 minutes. Meanwhile in a small clean saucepan put 2 tablespoons vinegar and the sugar and boil rapidly until reduced to about 2 teaspoonful’s. Combine with the tomato mixture and stir in well. Press the tomato mixture through a sieve and return to a clean saucepan and cook for 1-2 minutes until thickened. Leave the mixture to cool. Put 2 tablespoons vinegar into a bowl with the olive oil, the chopped dill, chives, and seasoning and whisk well. Stir the tomato mixture and capers into the herb vinaigrette. Brush the mackerel with a little oil and barbecue over direct medium heat for 10-12 minutes until tender, turning once halfway through the cooking time. Serve hot with the cool dressing.